The new Pioneer AppRadio 4 (SPH-DA120) won't include the necessary cable kits for connecting your smartphone. Pioneer did away with including smartphone cables kits a couple of years ago. Now you have to purchase these kits separately. So which cable kit do you need? It all depends on the smartphone you use, of course. 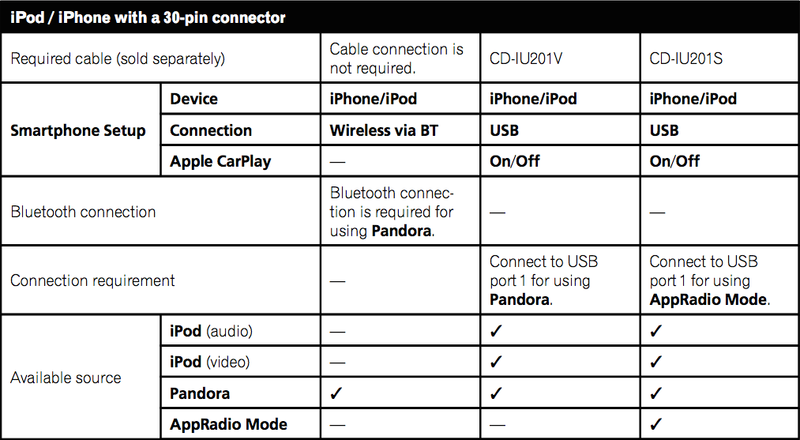 Check out these tables put together by Pioneer explaining cable kit requirements. We found these in the AppRadio 4 user manual. The different smartphones used are based on the connection port. 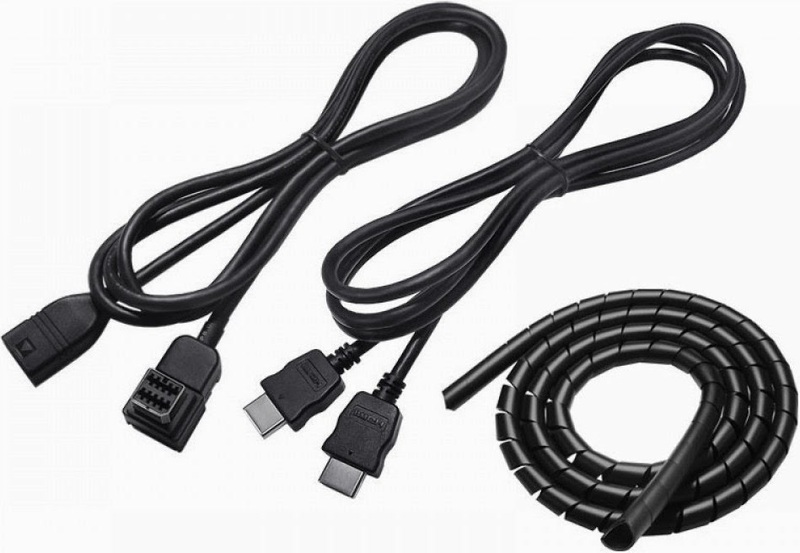 These include Apple's 30-pin connector (as seen in the iPhone 4 and 4S), Lightning connector (as seen in the iPhone 5 and above), and connectors for Android smartphones. Here are the tables. Scroll to the bottom for purchasing information. All prices are the latest reflected in the live widgets. Replying to my own thread. 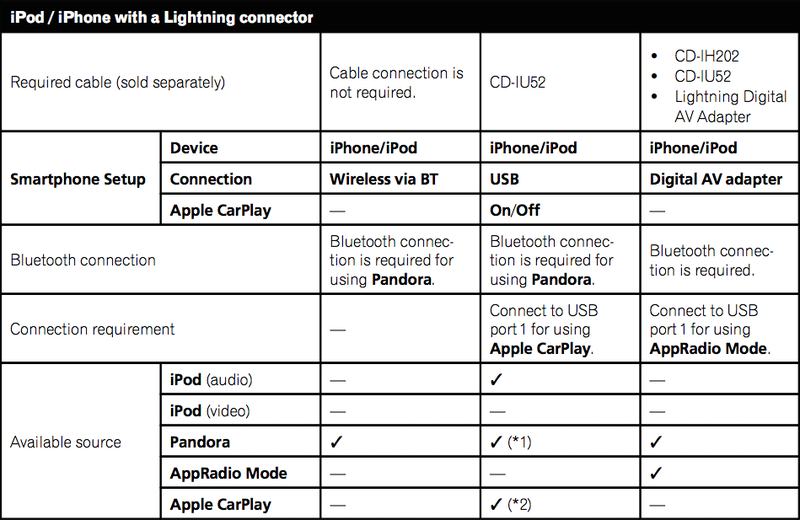 Apparently you have to choose whether you want to use CarPlay or appradio mode. You cannot have both without redoing the cables, which is highly impractical.